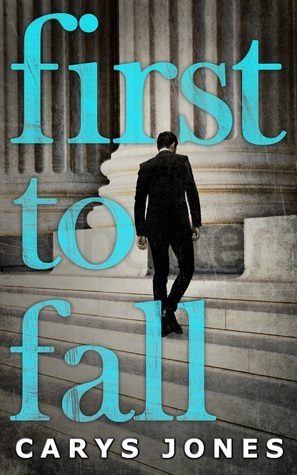 Happy Release Day to Carys Jones, author of First to Fall, the first book in her Avalon series. The Girl with Book Lungs will have a review for First to Fall very soon! In the meantime, Carys has agreed to spend a little time with all of us to celebrate the book. She’s sharing the Top Three Questions she’s never asked – and their answers, of course! What is the most difficult scene you’ve ever had to write? Recently I finished a WIP where one of the characters strangles another to death (this isn’t a spoiler as it wasn’t in First to Fall). The challenging part was imagining how it would happen, what sounds, sensations would occur etc. I remember walking my dog one day playing out the scene in my head, including how the victim would finally choke out their final breath. It occurred to me that if people could see what I was thinking they’d find it quite bizarre! The hard part with scenes like that is I’ve never experienced anything like it myself so I have to imagine how it would play out. Often when I’m at my laptop I do strange things like clap or punch the table to try and focus my thoughts on describing certain actions. I also try and pick names that I can work with in the long term, in other words, short simple ones as if I create overly complicated names I could risk making things difficult for myself further along in the series. If you could meet one of your created characters in person who would it be and why? Most of my characters are pretty flawed individuals so I’m not sure how keen I’d be on meeting them. Plus I know all their darkest secrets which could make things awkward. I’d probably most like to meet Dawn from a previous book of mine entitled Sunkissed. She’s a hundred and fifty year old vampire so she’s got a wealth of life experience and is very sassy so I’m sure we’d have fun. That is if she could commit to a time to meet since she’s currently on the run from her evil ex-fiancé.